In this paper, a 2D to 3D stereo image conversion scheme is proposed for 3D content creation. The difficulty in this problem lies on depth estimation/assignment from a mono image, which actually does not have sufficient information. To estimate the depth map, we adopt a strategy of performing foreground/background separation first, then classifying a background depth profile by neural network, estimating foreground depth from image cues, and finally combining them. 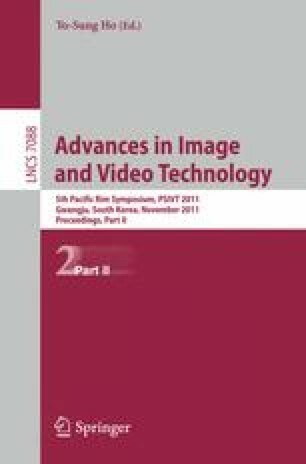 To enhance stereoscopic perception for the synthesized images viewed on 3D display, depth refinement based on bilateral filter and HVS-based contrast modification between the foreground and background are adopted. Subjective experiments show that the stereo images generated by using the proposed scheme can provide good 3D perception. 1.Dept. of Computer Science and Information EngineeringDa-Yeh UniversityChang-HuaR.O.C. 2.Department of Electrical EngineeringNational Chung Cheng UniversityChia-YiR.O.C.